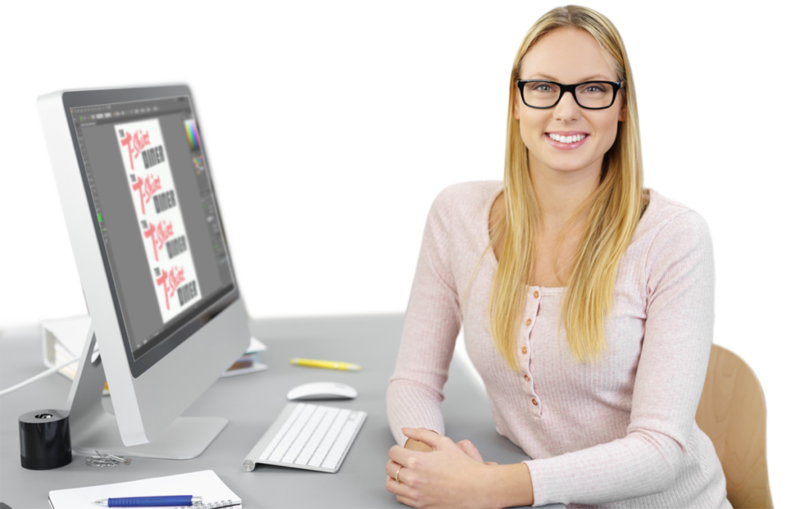 At The T-Shirt Diner, you can sit down with one of our experienced graphic designers and custom design a t-shirt based on your rough idea or finished logo. Last minute order? Most orders are made while you wait.